Sheriff Mark Davis said Daniels will face felony charges because he played a bigger role during the dog fight. The other suspects will face misdemeanor dog fighting charges. 12News received several videos at that time of dogs fighting in a ring. 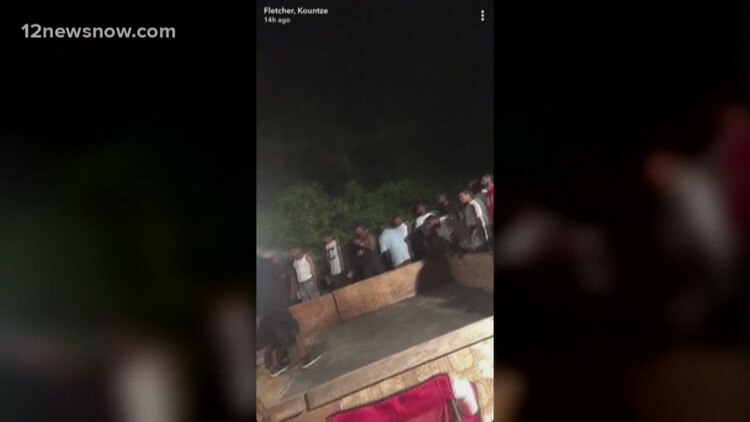 A public video shared on Snapchat showed several people crowded around a closed area. Sheriff Davis said in the video there are two dogs fighting inside of the ring. He said witnesses told deputies a dog was shot by his owner after he lost the dog fight. You know what else is not for the feint of heart?.... having you, your pet or loved one mauled by one of these man-made disasters! I really wish people would gain a touch of common sense or at least self-preservation! Wait, you mean they didn't use Chihuahuas for dog fighting? They used nanny dogs? HOW COULD THEY?! Pit bull advocates keep dog fighting legal. Not only in the pit but everywhere you can imagine. Pit bulls should have become extinct 30 years ago when dog fighting became a felony. When a pit bull kills a companion animal, or worse, a human, it is an unforeseeable accident. These are get away with murder dogs. When there is a dog fight bust, we are supposed to feel sorry for these animals, when they are doing what they enjoy and what they were bred for. I don't feel sorry for pit bulls, I feel sorry for pit bull victims. Eliminate the breed, eliminate dog fighting rings, eliminate victims. It's that simple.